- Made from high quality Aluminum, exquisite workmanship. - easy cleaning and easily pour out the milk or porridge. - Long handle makes easy to hold. The densely glazed, scratch resistant will ensure a long lasting shine for your product. 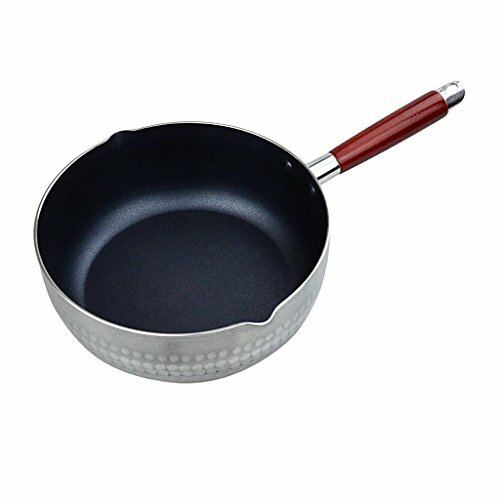 - Prefect for warming milk, cooking porridge noodles for baby, making coffee, butter and so on. - Great for home, kitchen, outdoor, camping, hiking, mountaineering, fishing, picnic etc. 2.The real color may be slightly different from the photo, due to a variety of factors such as computer screen contrast or light and so on. Long handle makes easy to hold. The densely glazed, scratch resistant will ensure a long lasting shine for your product. Prefect for warming milk, cooking porridge noodles for baby, making coffee, butter and so on. Made from high quality Aluminum, exquisite workmanship. easy cleaning and easily pour out the milk or porridge. Great for home, kitchen, outdoor, camping, hiking, mountaineering, fishing, picnic etc.